Do you have pain in your arm, even when you don’t go to the gym? Does your elbow hurt even if you don’t play tennis? Even when you rest do these pains stay with you? This condition is common in people who play racquet sports and you may even be living a lifestyle that worsens this condition, even if you don’t play these sports. Many people think that tennis elbow is just for those who play tennis. Not so. Since more people are doing desk jobs, especially computer work, or any task that requires repetitive strain; tiny tears in your tendon can be created, causing pain, are more common than you might think. Let’s look at the dynamics of how this condition occurs. Tennis elbow, referred to medically as lateral epicondylitis, is the result of minor tears in your tendon on the lateral side of your arm. If these tendons are continuously used, like in many office jobs and doing other household tasks, inflammation results and your elbow becomes sore and painful. A common treatment is rest and anti-inflammatory medication, but is this enough? To put this in everyday terms, when a muscle or tendon tears in your body, do you feel it? Most of the time, the painful answer is, “Yes!” When this said muscle or tendon heals, is it the same? Not usually, if ever. The reason being is that scar tissue forms which isn’t as pliable as the muscle or tendon before the rupture. Scar tissue does just that, it scars over, or fuses the torn ligaments or tendons. This process is the body’s way of patching together the tear. It’s a miracle it does so. It’s also a miracle when we give the body what it needs to move the way it did before the accident. This is where chiropractic works non-surgically to ensure the body’s healing process. What does the body need? When inflammation and tears occur, the body repair itself best with anti-inflammatory and good biomechanical movement. Chiropractors ensure healing biomechanics. When inflammation occurs and scar tissue develops muscles and bones can be pulled out of alignment which also causes pain. If an individual body part just worked in isolation that might be Ok. But our bodies work in a system where one part affects the other. Inflammation and subluxation can affect your entire body, setting off a chain of unrest in your system. Do you want limited movement or do you want to heal your body? Unlike a worn out pair of clothes, we can’t easily replace our body parts that hurt or rupture. Don’t you want to take care of and strengthen your body so it feels good? Reducing the inflammation can help you feel good. Chiropractic can help heal tennis elbow to where your body heals naturally. When your body truly heals, then it can move and feel the way you want it to. 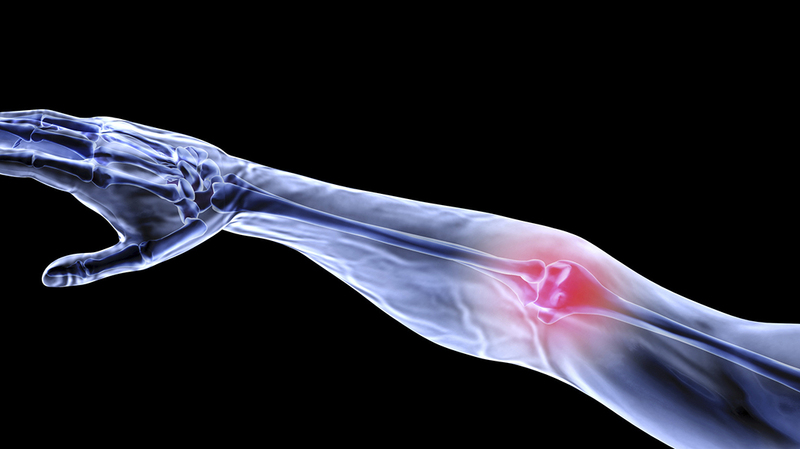 Elbow pain can be a minor irritation. Don’t wait until it may develop into a major problem before you seek an expert. The reason why chiropractors are experts in getting your body back to feeling great is because they are trained in aligning your biomechanics. Your skeletal structure is the framework for your entire body. A good way to think about your skeleton is that it’s likened to the foundation of your house, including the 2×4’s in the walls. Imagine if your house structure was sliding to one side. What would eventually happen? It could weaken your entire house. The same analogy applies to your body. When a part of the structure is weak, it could eventually weaken your body as a whole. Doesn’t it seem right that your house should stand upright? The same with your body and its structure. When bodily processes are working in order, you feel good. Biomechanically your chiropractor can align your body. Aligned biomechanics feels good to your body. Elbow pain may hurt. Chiropractic can bring relief, for today and for a stronger you, tomorrow. Get back to your life Chiropractic gets you there.